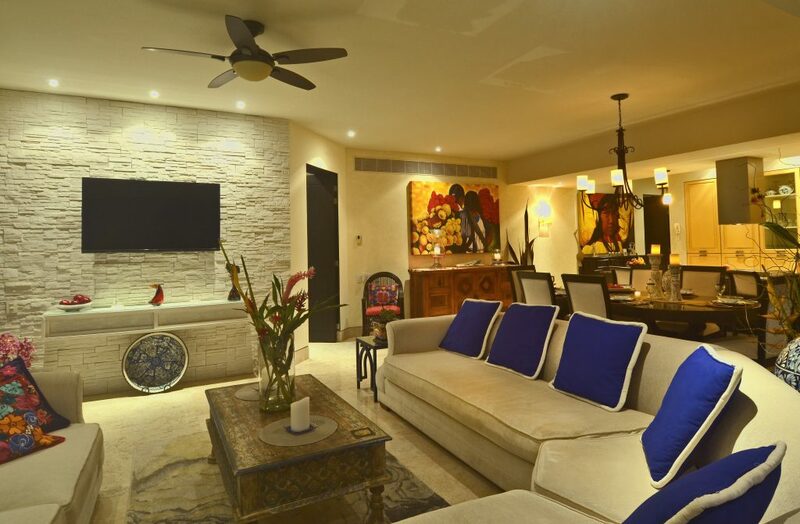 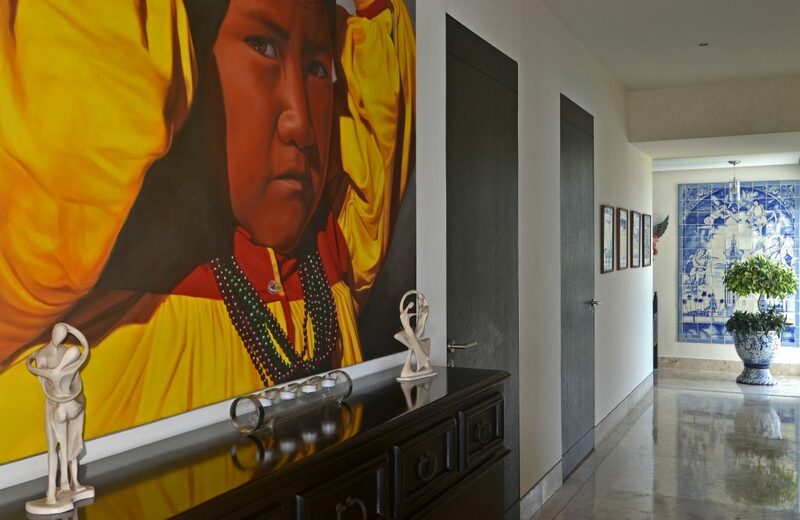 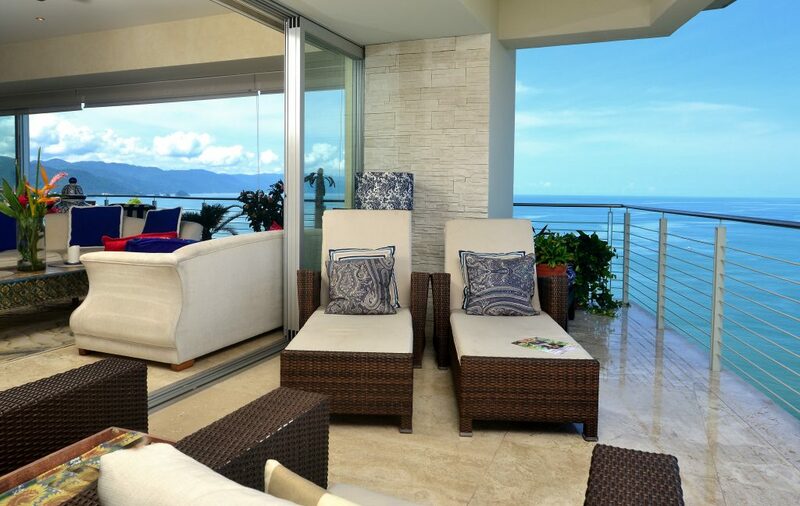 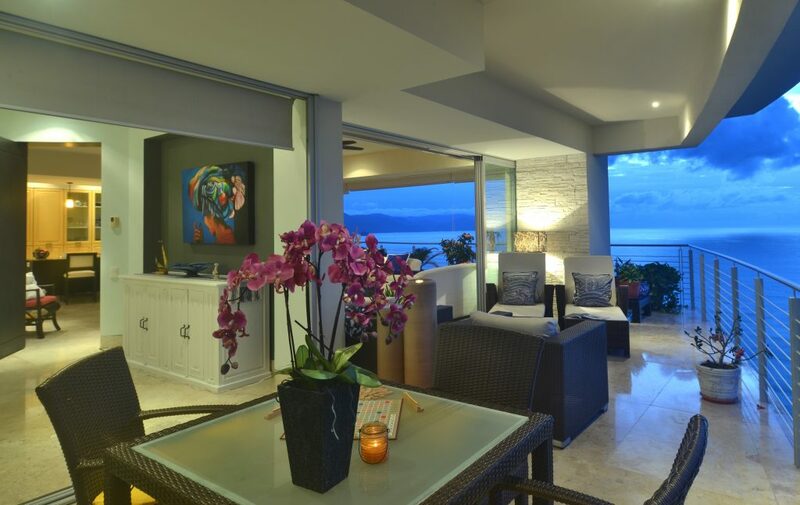 The condominium building has an unparalelled views of Banderas Bay with large balconies to accomodate most entertaining by providing floor to ceiling glass panels for that ‘indoor/outdoor’ living experience. 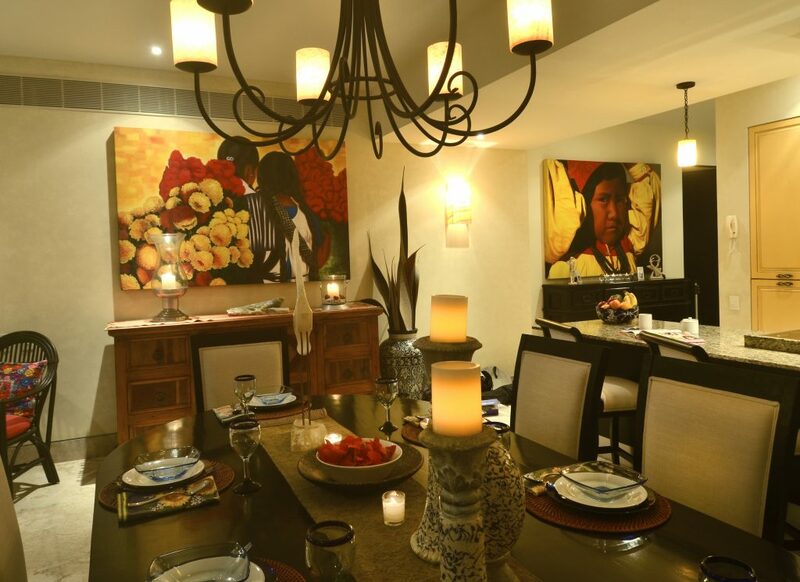 701 has 3 bedrooms; 2 ensuites with king size beds. 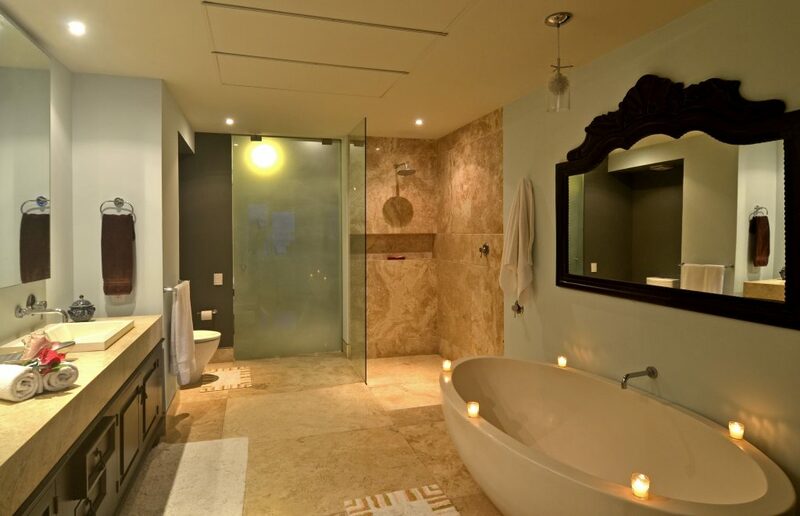 A seperate laundry room is also provided. 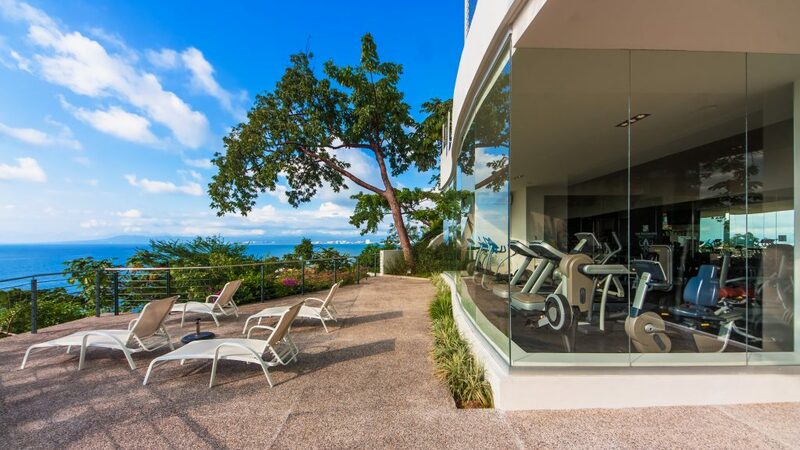 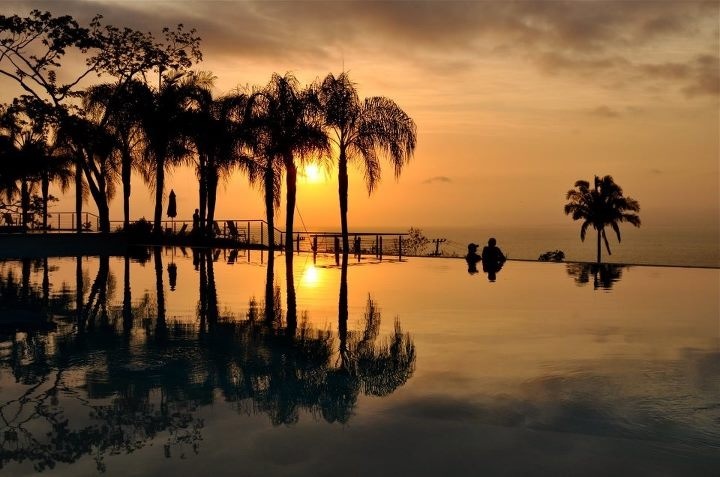 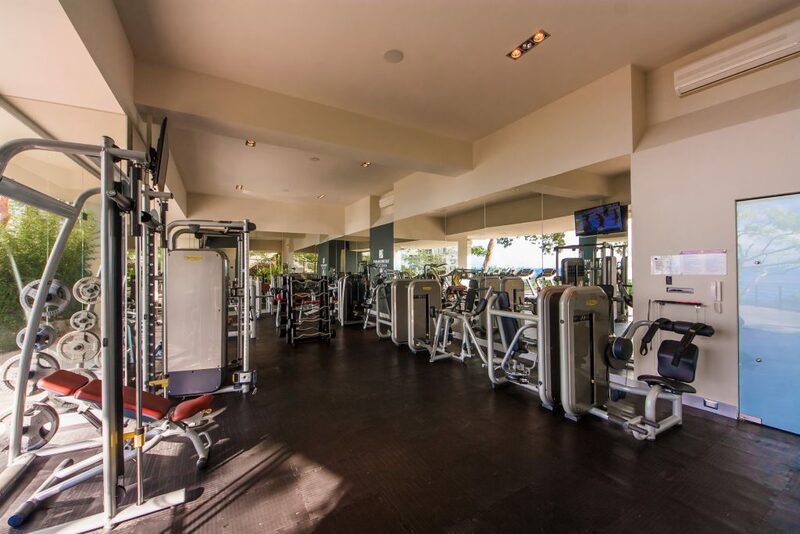 All condos including indoor assigned parking spaces and full access to the public areas including a fantastic infinity pool overlooking the Bay of Banderas and a state of the art full gym. 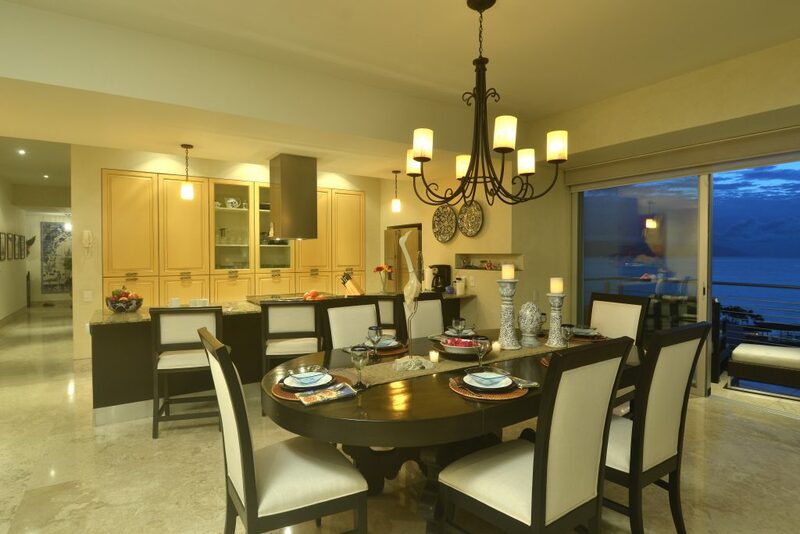 The rich teak wood doors and cabinets in the kitchen is accented on the large tile marble floor throughout. 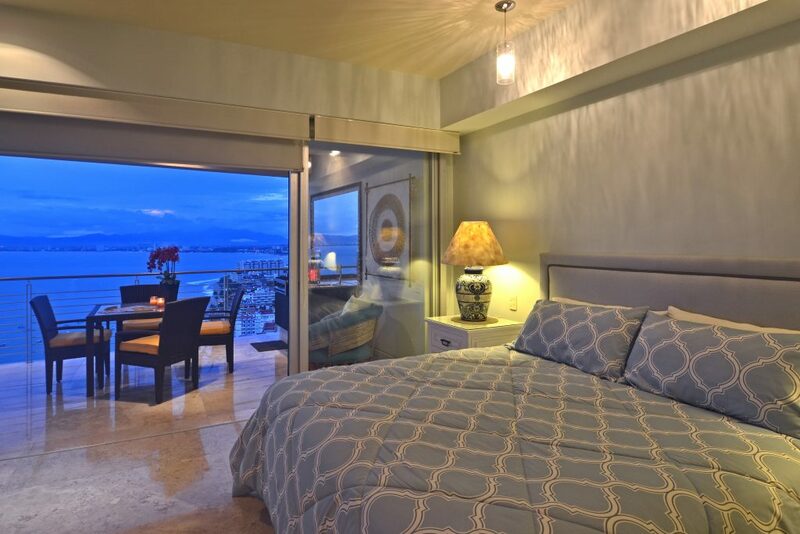 The Master Bedroom also has balcony access via large sliding glass panels that combine the indoor space with the outdoor space. 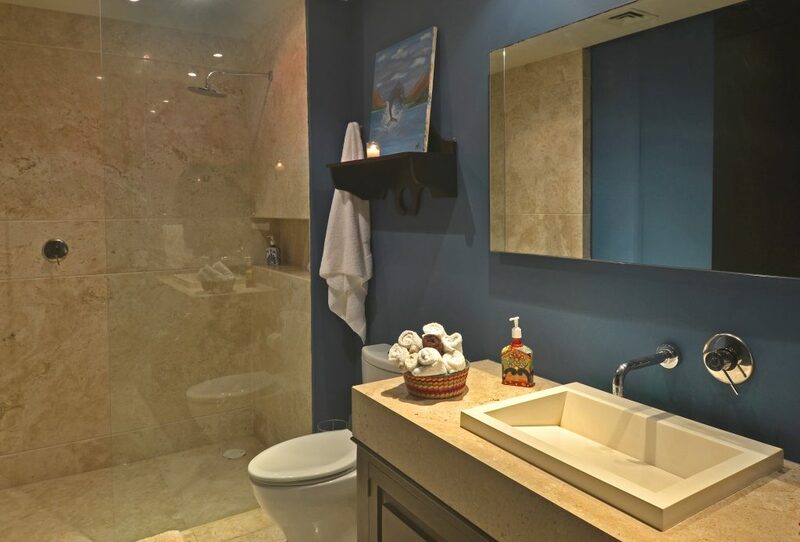 The Master Bath has dark gray slate flooring with 2 sinks, freestanding oval tub, seperate shower area, toilet, and walkin closet. 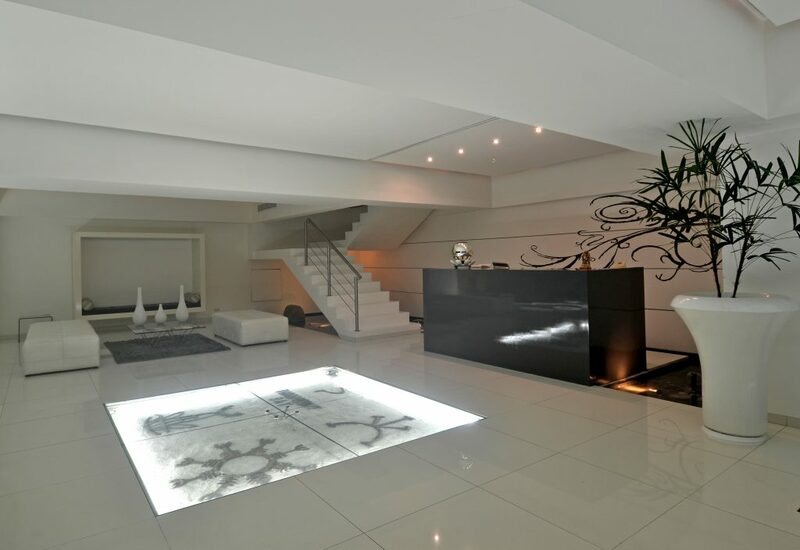 Al fixtures are of European design, look, and feel. 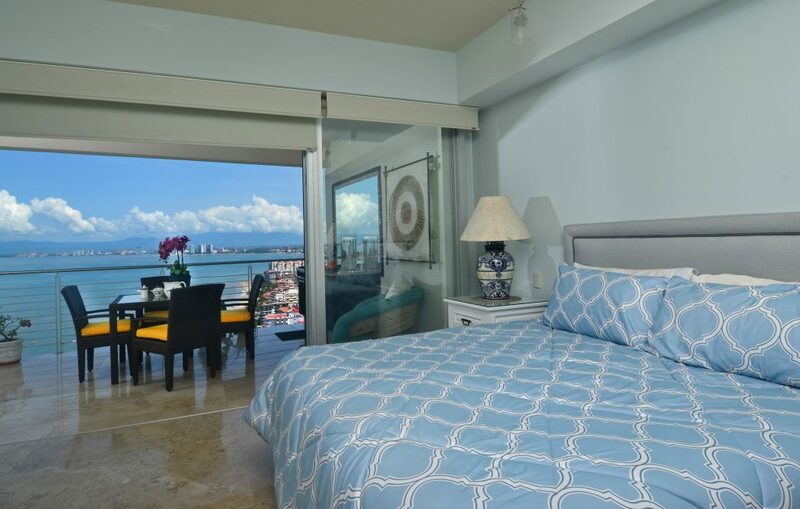 The second Bedroom is attached to another bathroom with tampered glass enclosed shower and also has a walkin closet in a seperate area. 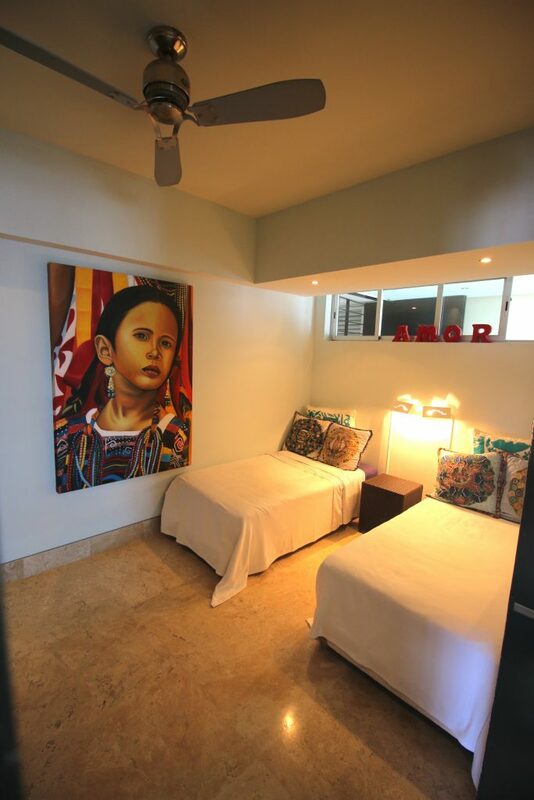 The 3rd bedroom has 2 twin beds and shared bathroom. 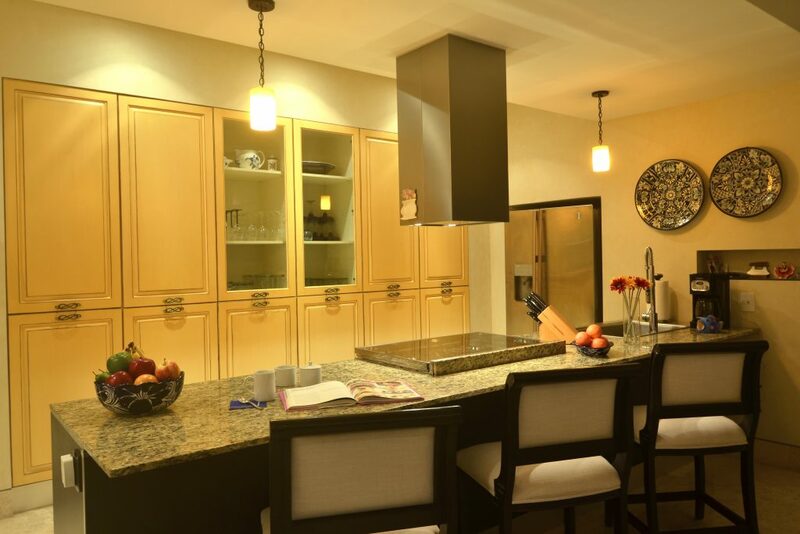 The kitchen has very classy European styling with full length cabinets to hide all your appliances and clutter with an island to provide the cooking area with large sink, gas stove, oven, and dishwasher. 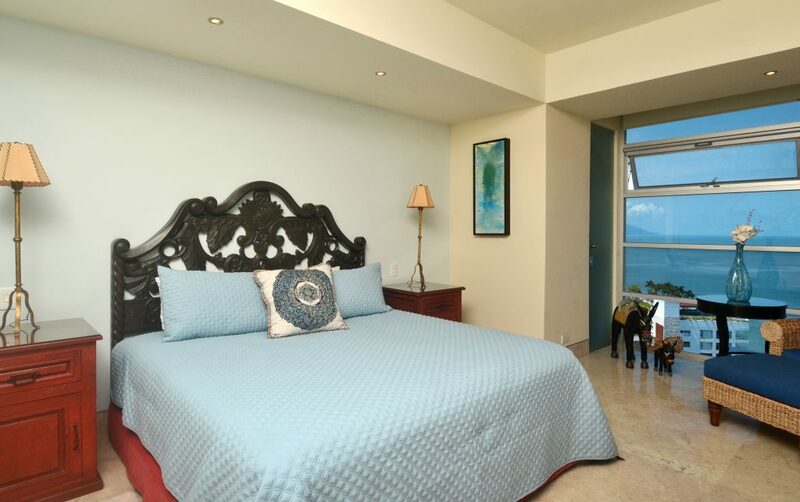 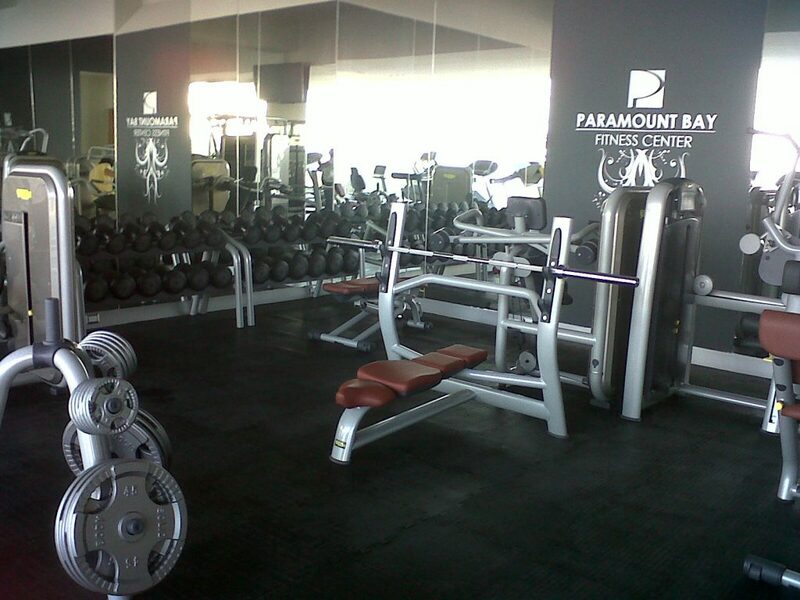 Air conditioning is provided via a central AC system with seperate controls in all the rooms. 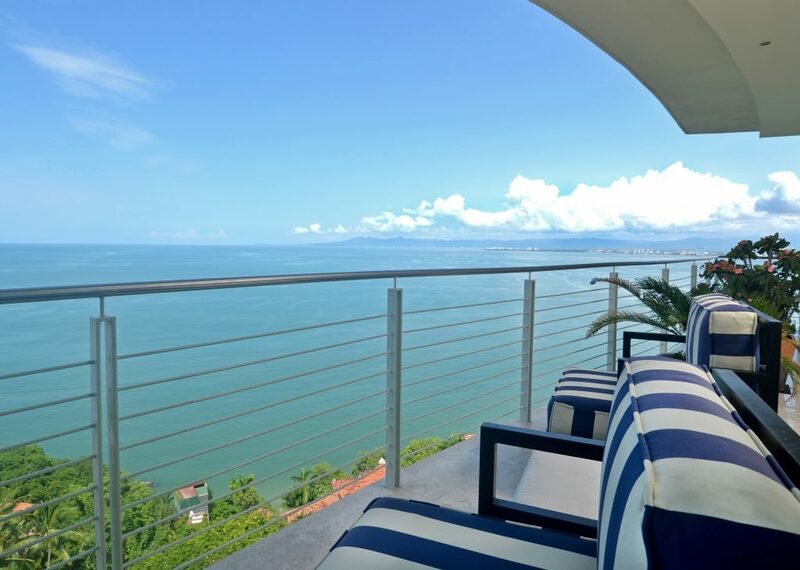 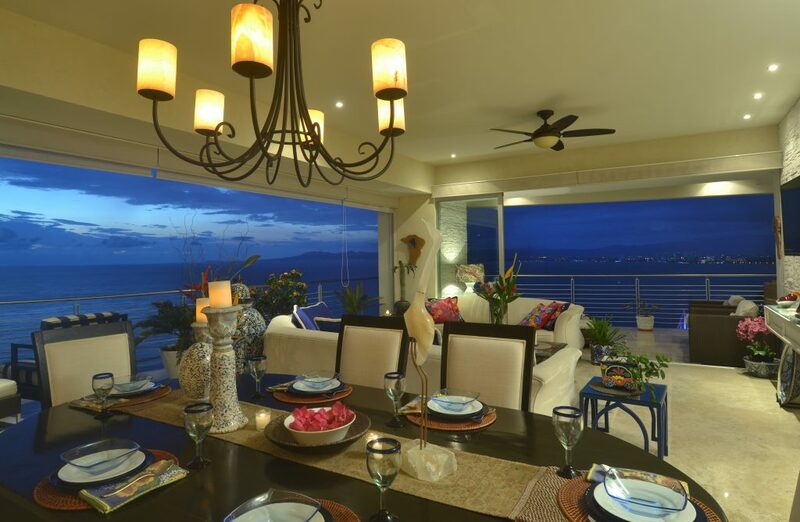 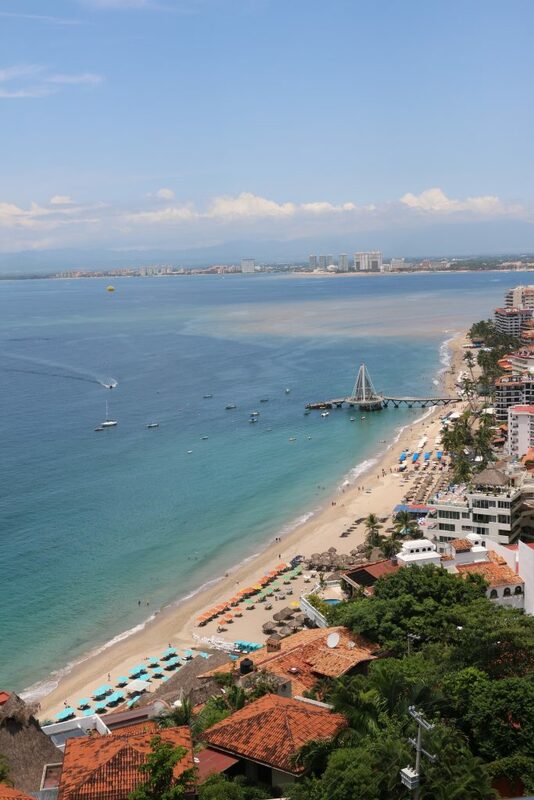 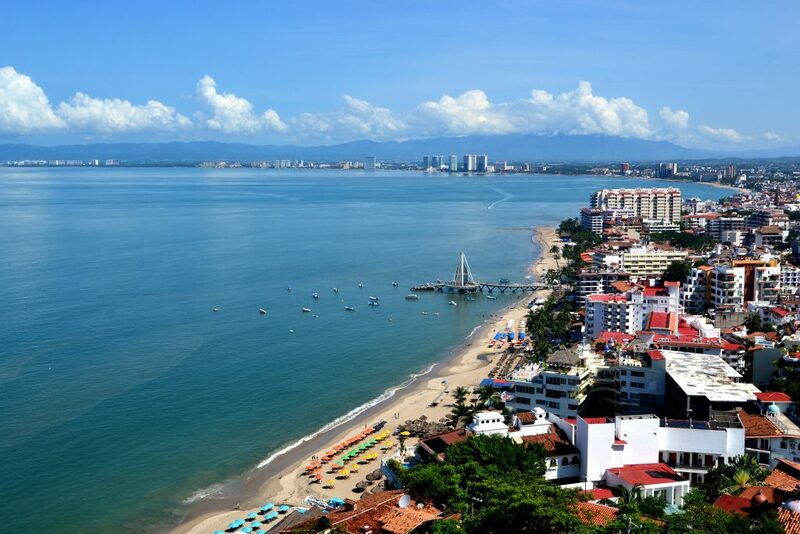 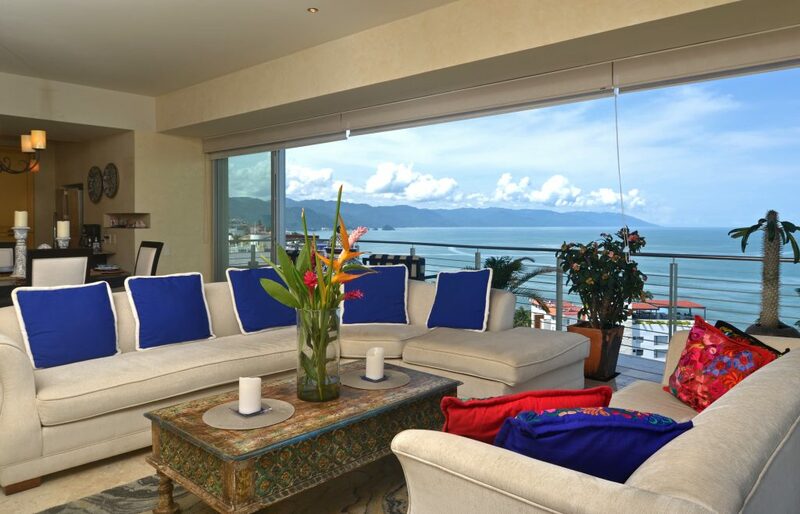 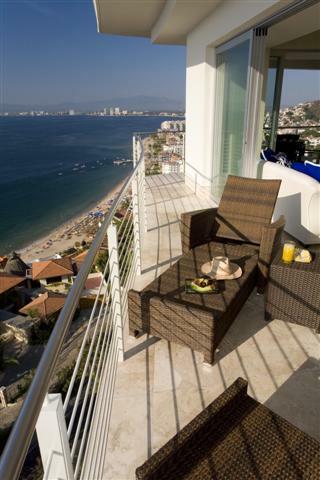 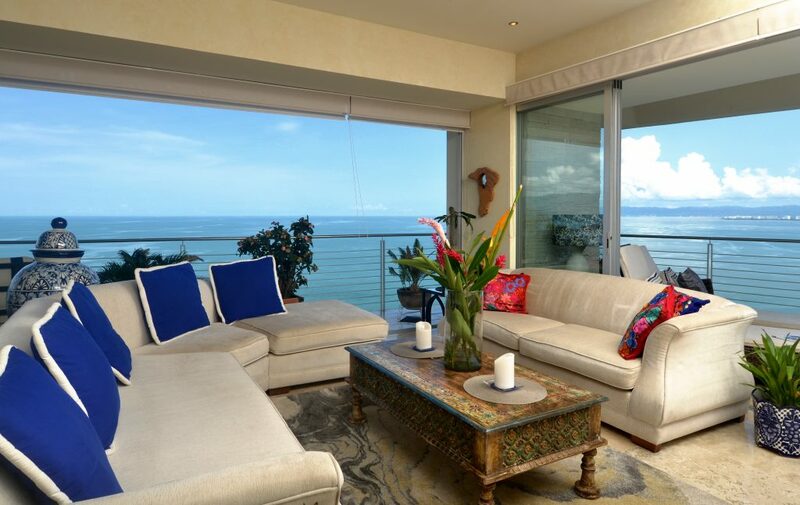 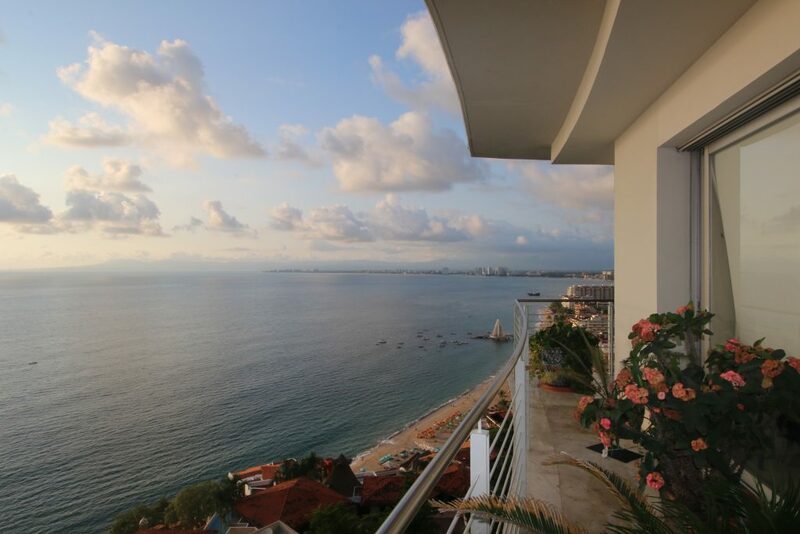 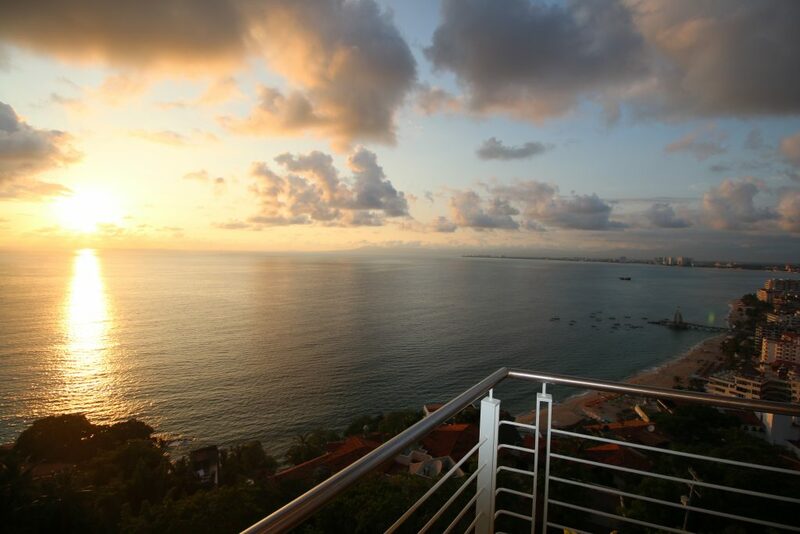 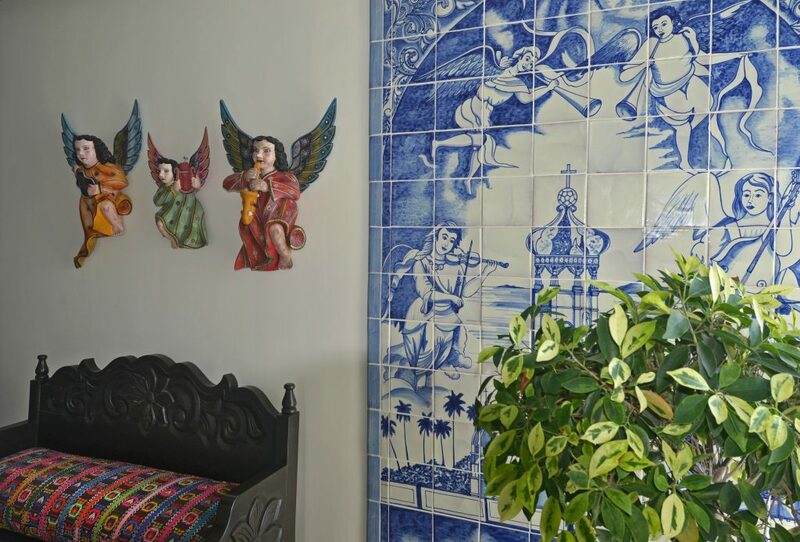 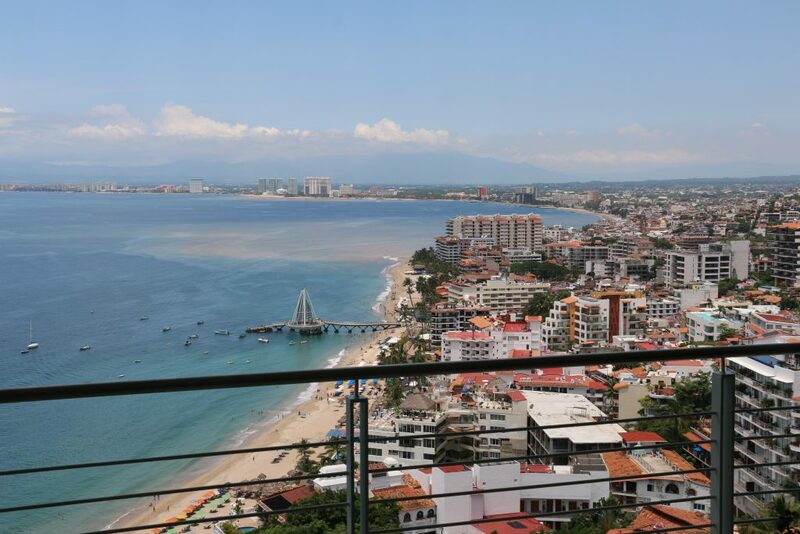 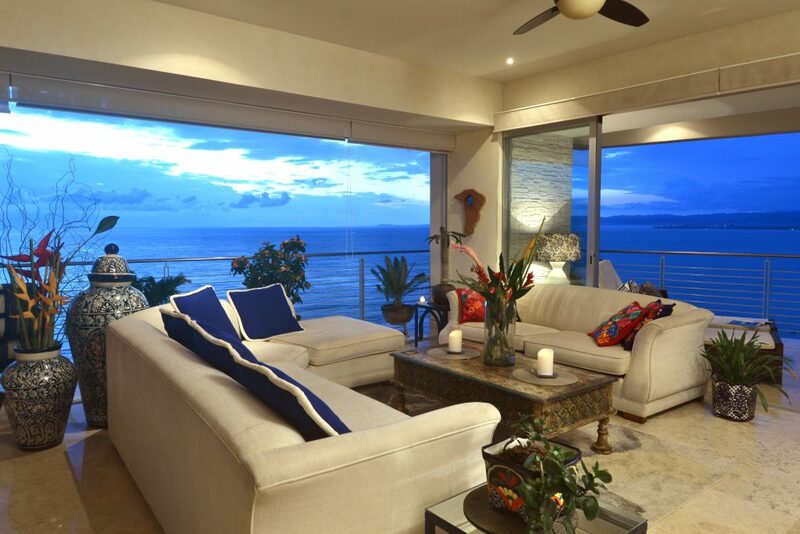 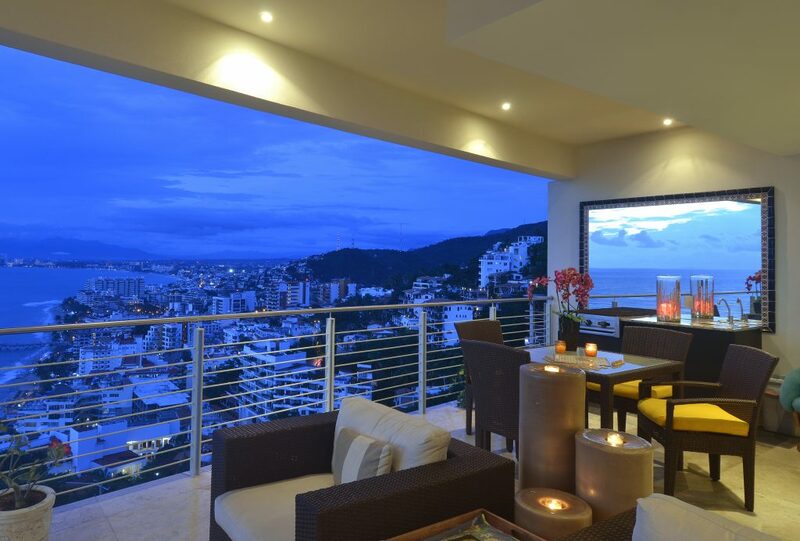 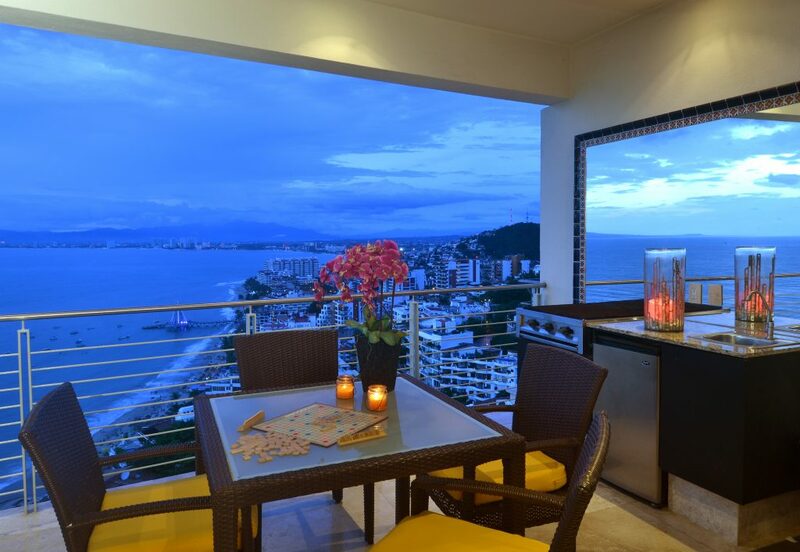 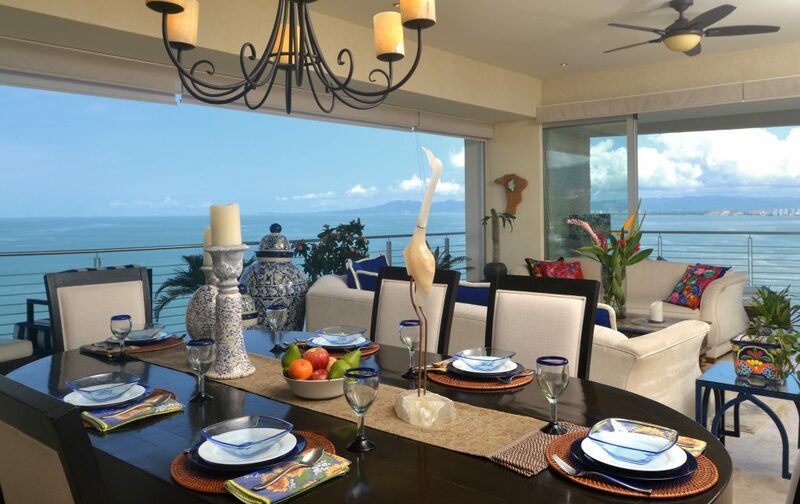 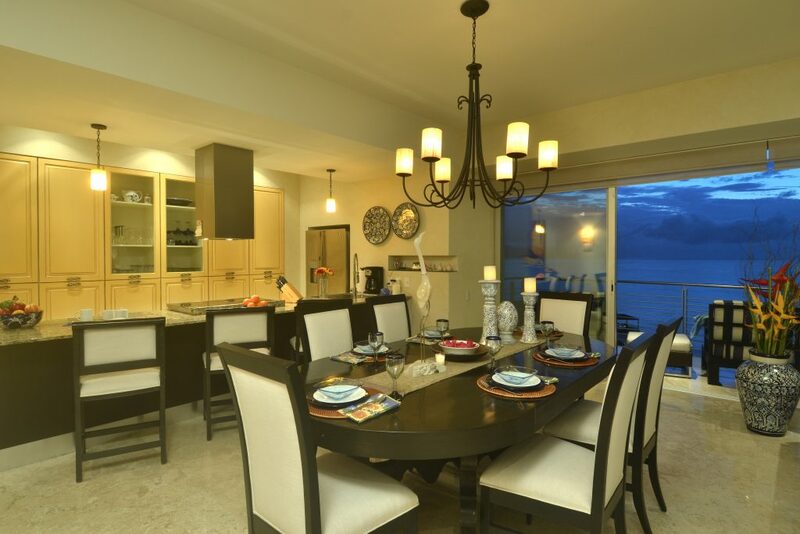 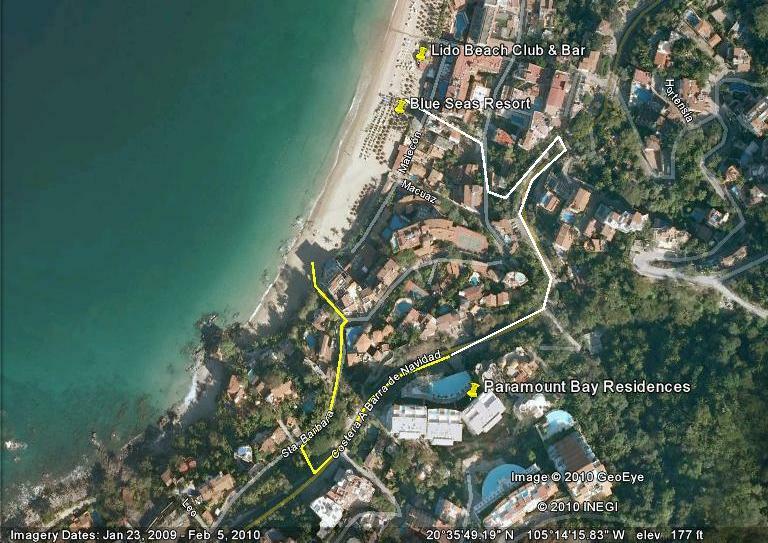 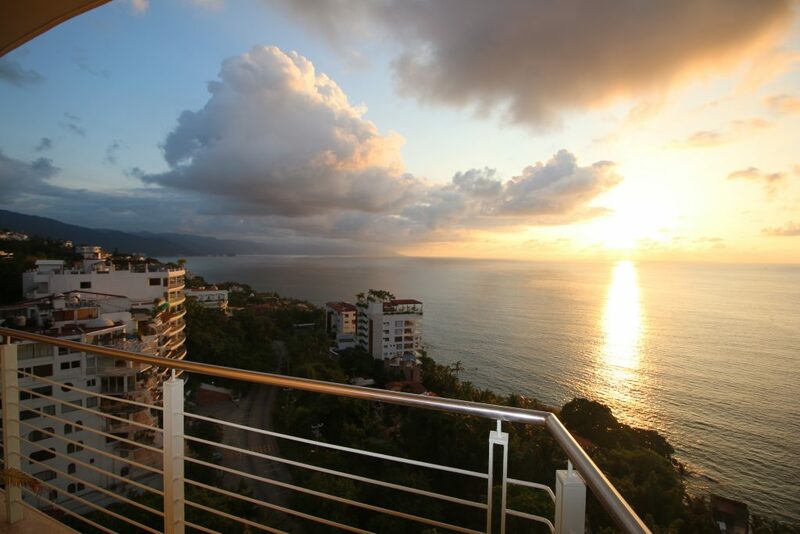 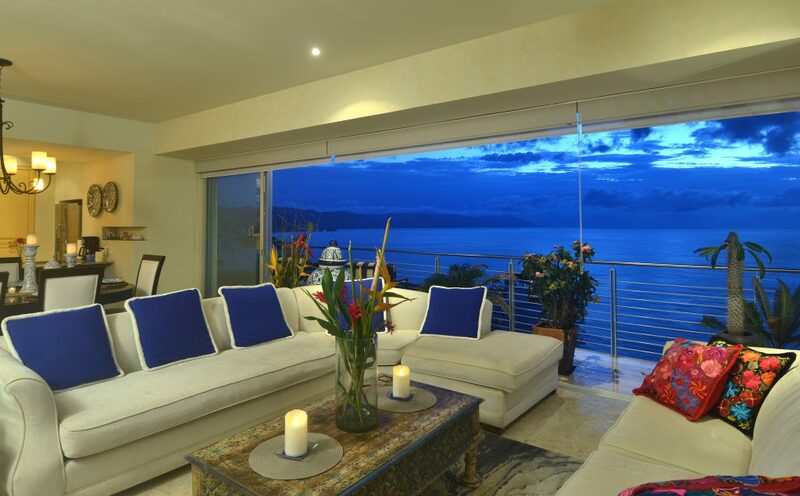 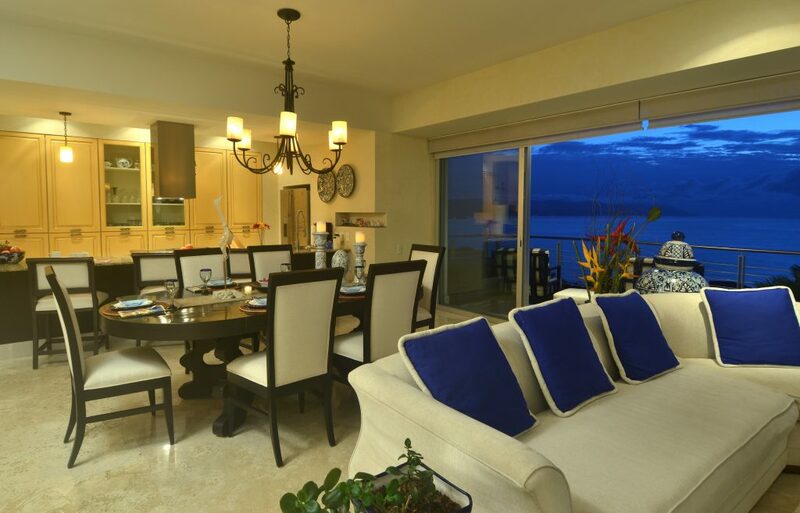 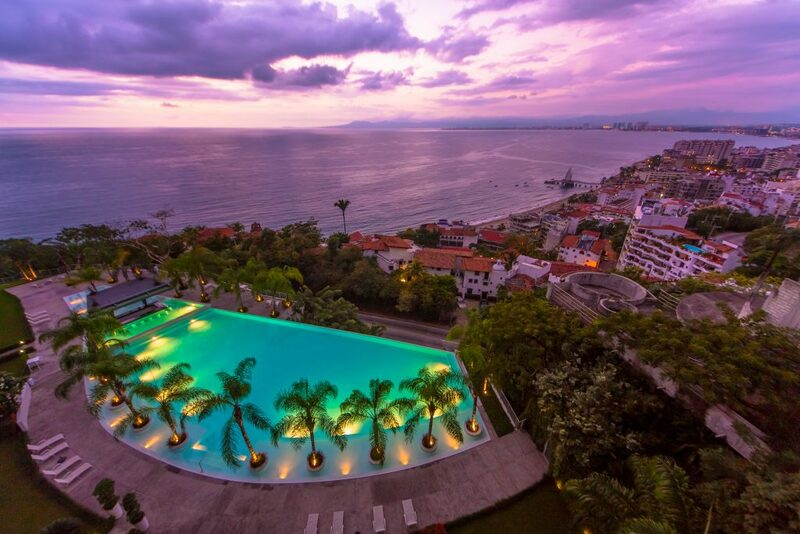 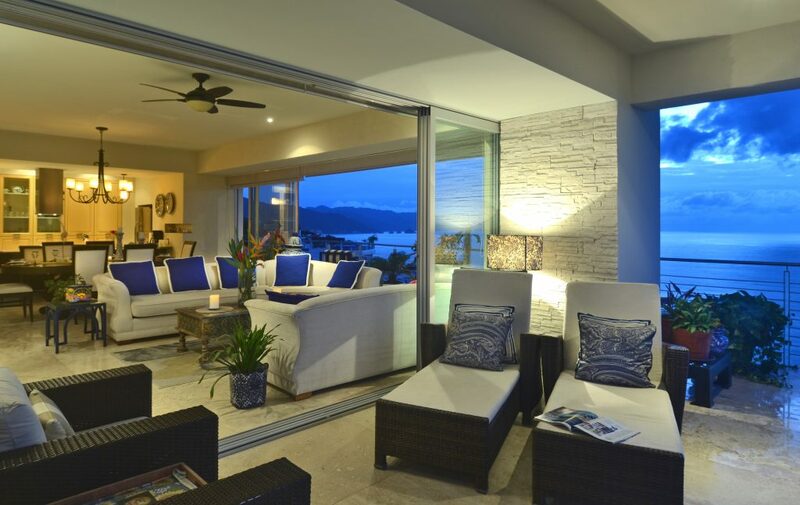 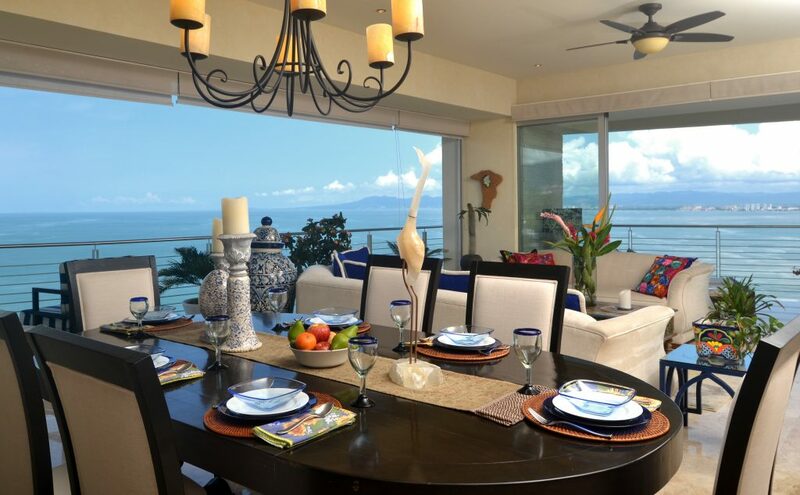 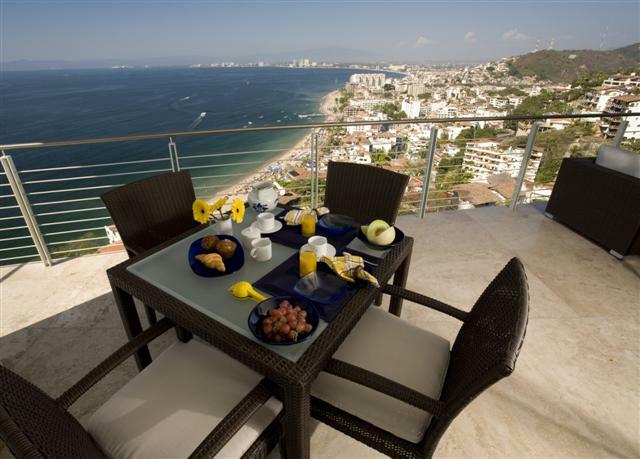 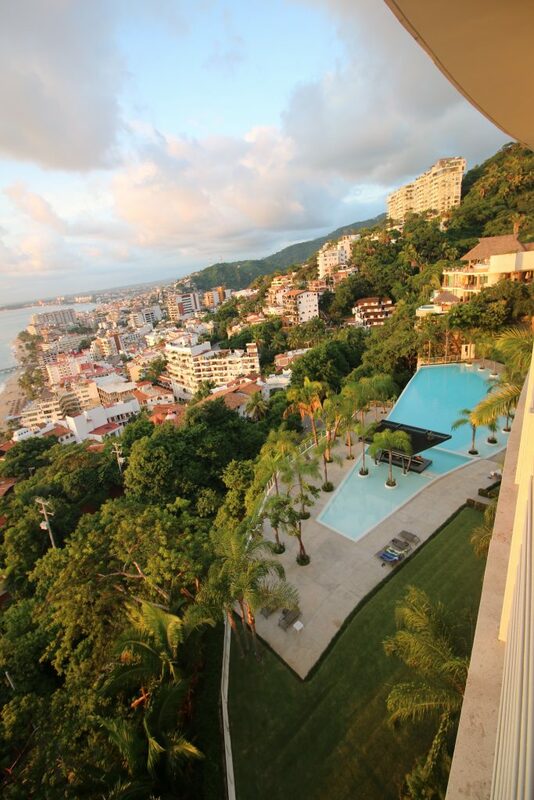 Enjoy new construction with a European flair and a fantastic view of Puerto Vallarta! 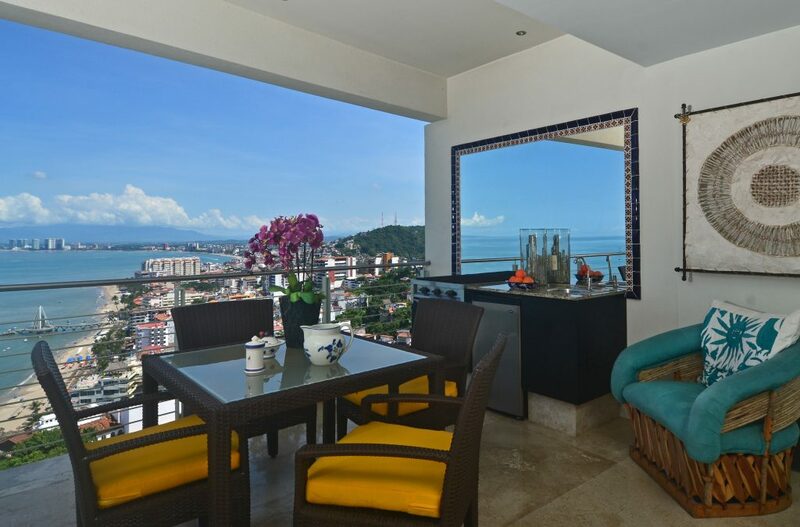 By special arrangement Condo PB 701 has been made available to select qualified guests. 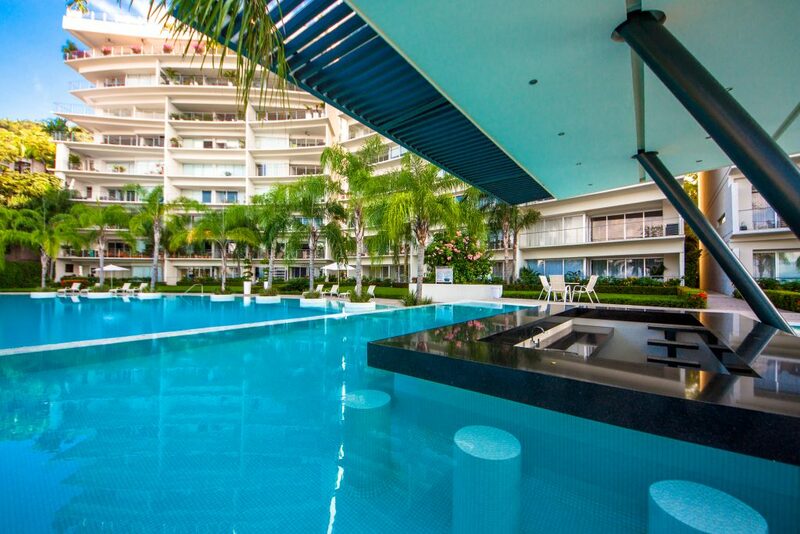 Condo PB 701 is privately owned; student groups, bachelor parties, packaging general public groups, or the like are not accepted. 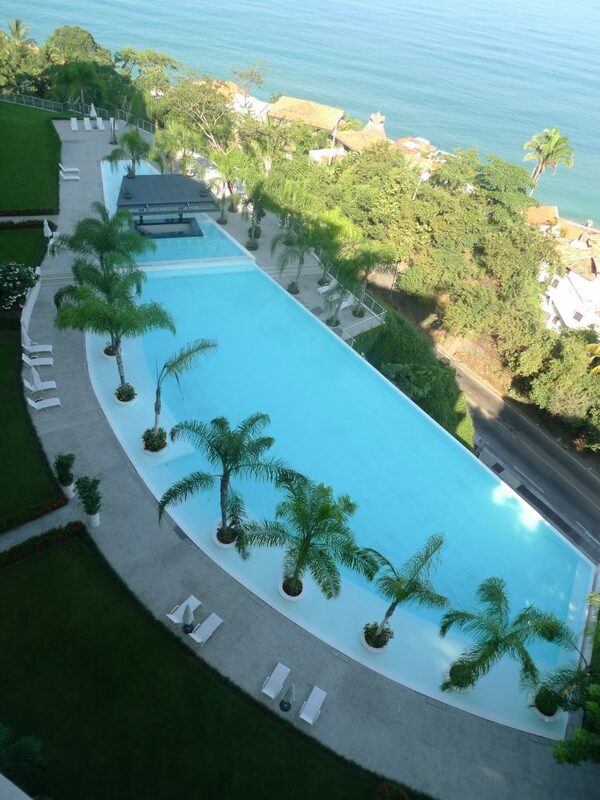 No pets, adults preferred (4 persons preferred).